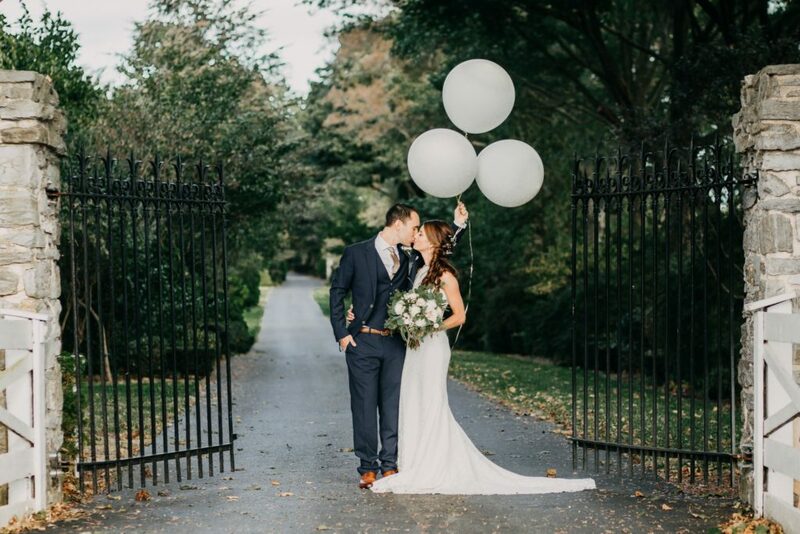 The wedding design of Alex and Courtney’s wedding was, to say the least, perfection! 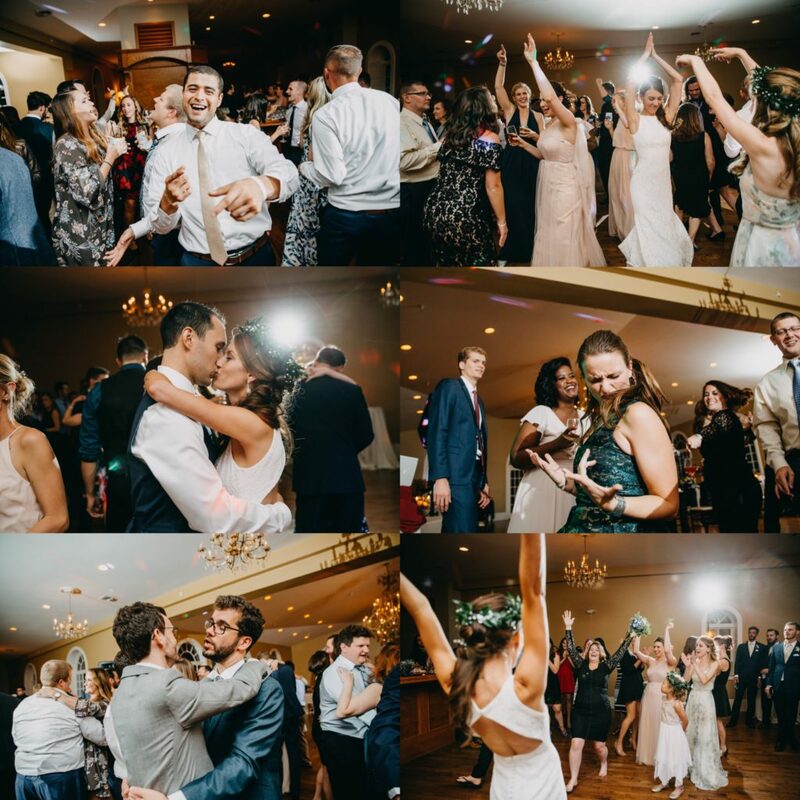 On what seemed to be a flawless day, Alex and Courtney had invited all their closest friends and family to celebrate the next chapter in their lives. 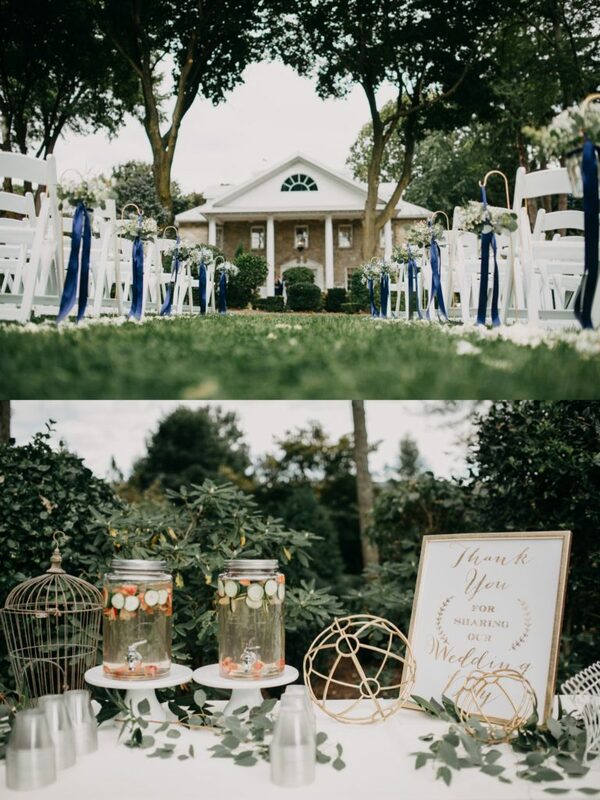 The wedding specialists of the JDK Group made sure that the design would make Courtney and Alex’s wedding the party of the year for their guests. 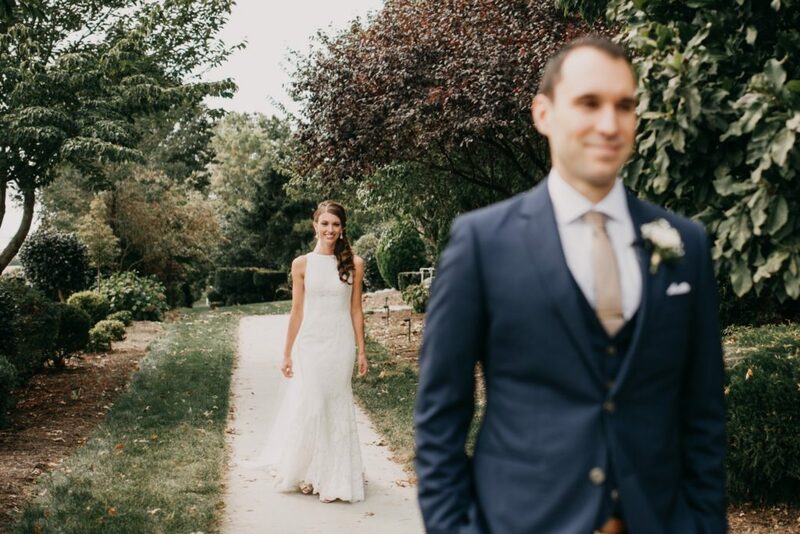 This elegant, vintage-inspired wedding design took place at the beautiful Linwood Estate located in Carlisle, Pennsylvania. 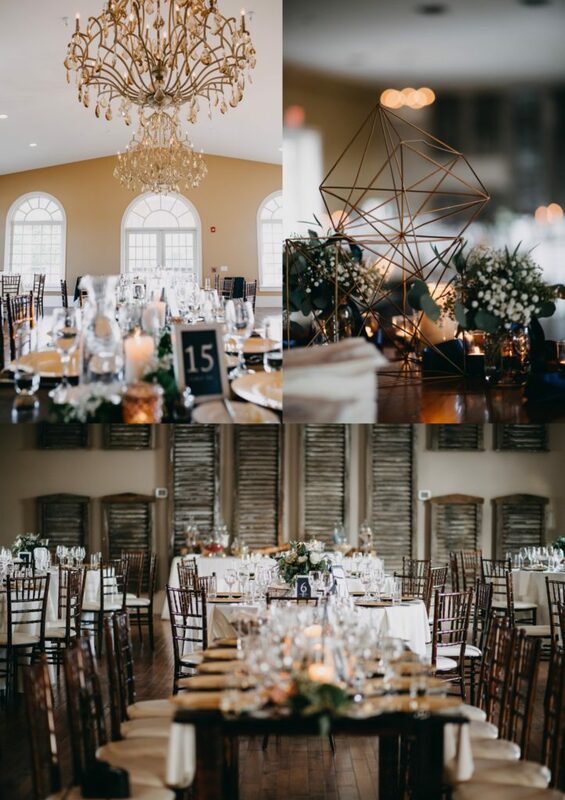 The estate coupled with chandeliers, floral arrangements and gold decor gave off a Great Gatsby vibe and was the perfect venue for their ceremony and reception. 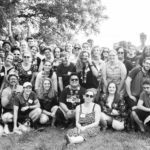 All pictures from Philter Photo. The flowers by JDK’s Floral and Event Design Team only added to the unique design of Alex and Courtney’s big day. From the bouquets to the centerpieces, the touches of white rose and greenery made for a clean and elegant aesthetic complementary of Linwood. Courtney’s gorgeous flower crown was no exception to this! Courtney and Alex found their own ways to relax before they tied the knot. 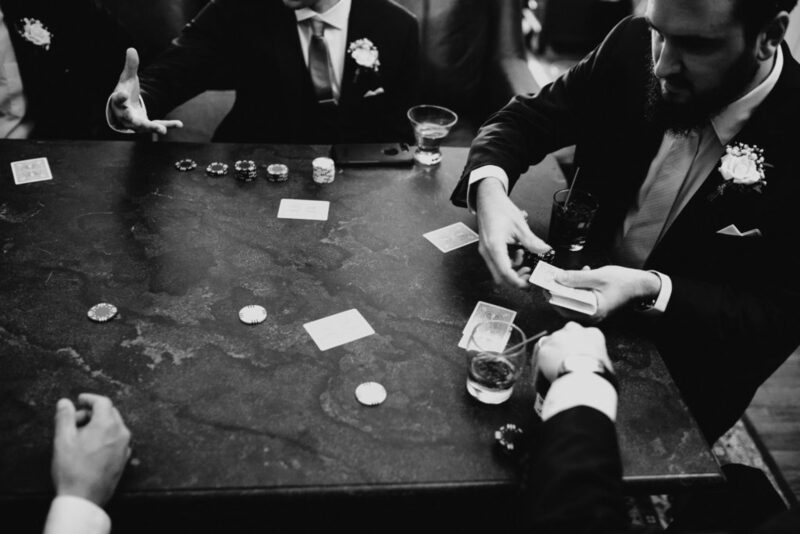 While the ladies had their hair and makeup done, the guys bonded over a game of poker. 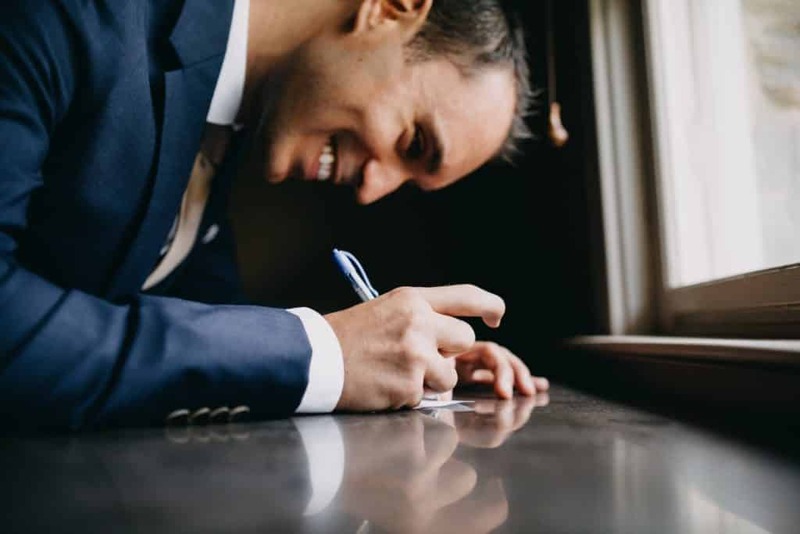 During all the activity, the bride and groom were able to pause and enjoy notes that they had handwritten for each other. Even amid all of the movement, the couple was able to express the love and excitement they were experiencing. It’s these small moments that make their day so special! 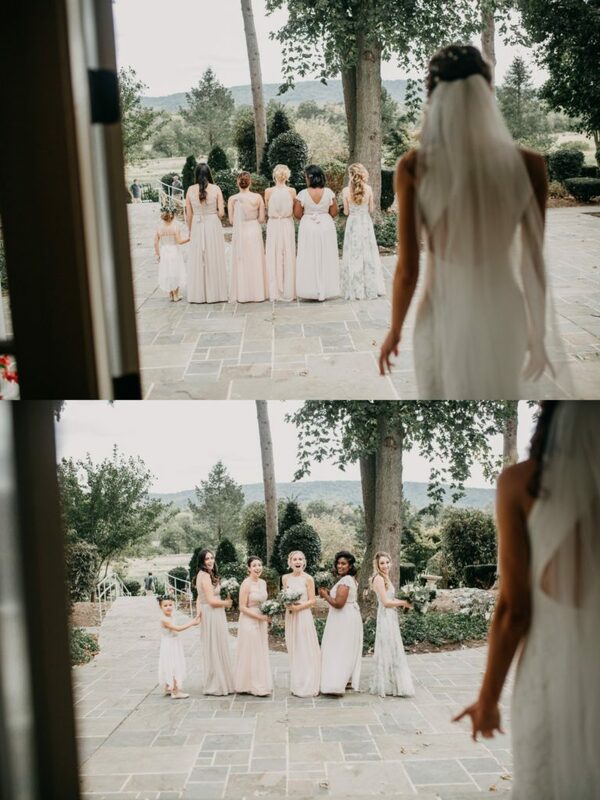 Before Alex got to see his future wife, the bridal party had their own reveal for their beloved friend. It’s safe to say more tears were shed. After exchanging notes, the couple traded loving looks when they saw each other for the first time at the reveal. 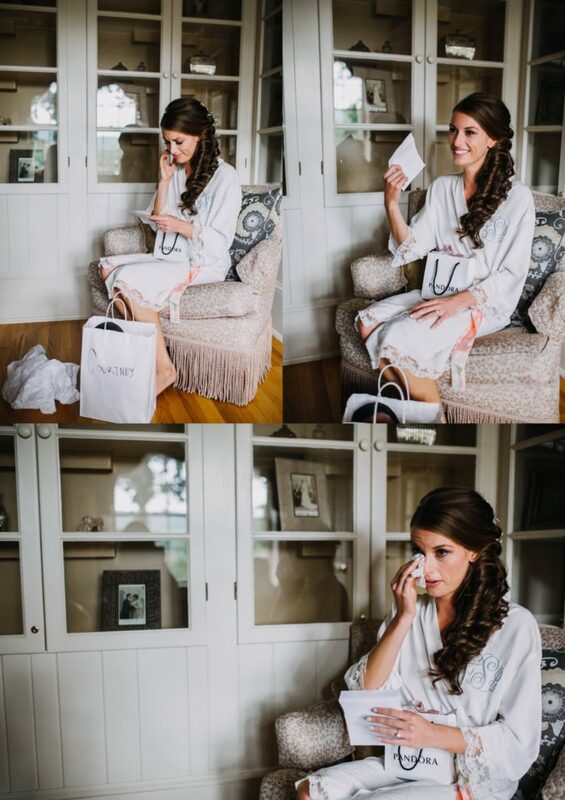 Alex, taken back by his gorgeous bride, was left speechless when he first saw Courtney. The ceremony space set the mood for the exchanging of vows. The navy, white and floral wedding design was ideal for the sophisticated and vintage feel of the estate. The neutral colors from the decor with a hint of gold kept the area relaxed, but with a festive vibe! 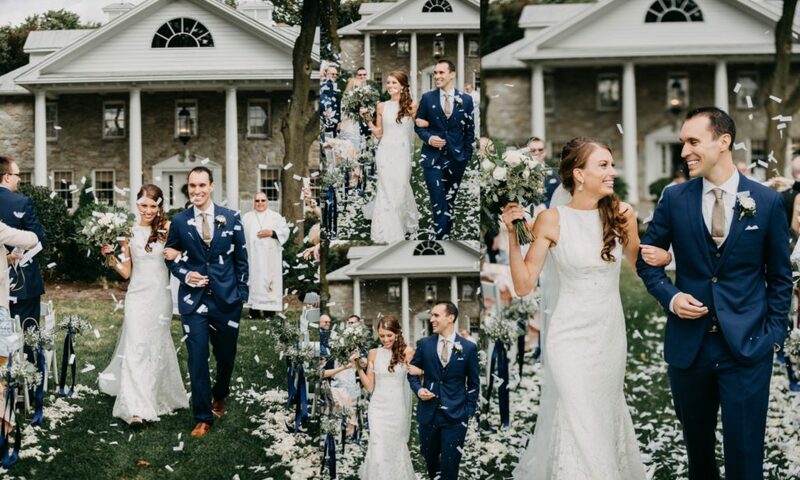 After the much anticipated ceremony, the newlyweds were showered in confetti and love from their family and friends. After a few glasses of wine and a lovely photo shoot, everyone was ready to party. The reception was the best ending to a amazing day for Courtney and Alex. While everyone swooned over the beautiful cake and decor, they soon realized that the dance floor was where it was at. Everyone was cutting up a rug and having the time of their life. 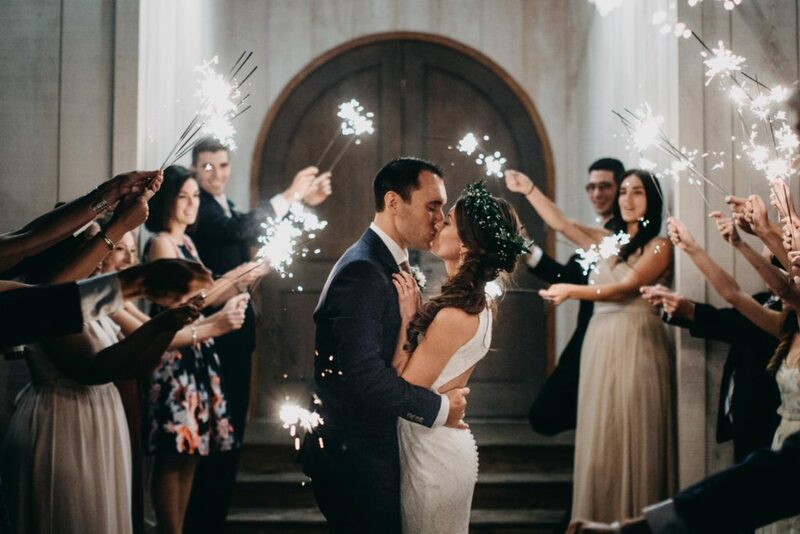 After a long day of laughing, crying and making memories, Alex and Courtney shared one last romantic kiss while surrounded by their loved ones, and in front of hundreds of sparklers that illuminated the night. When Alex and Courtney look back, they will remember the speeches made, tears shed, and their love for each other. 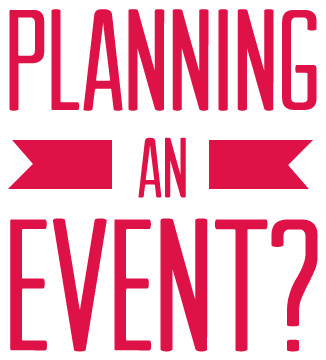 Consequently, it’s not just the elaborate decor and cake that makes a wedding incredible. It’s the people and experiences shared that will last for the rest of their lives. 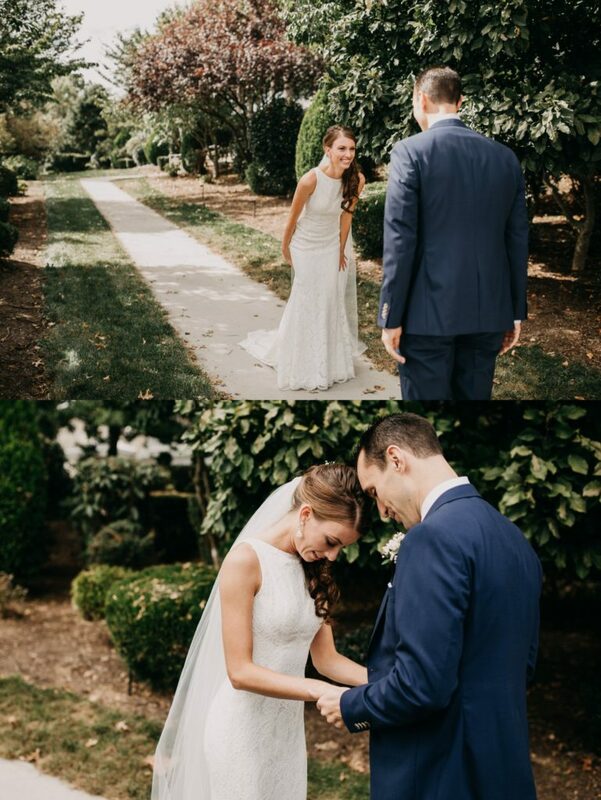 Alex and Courtney were able to have the wedding of their dreams and share those memories with their closest friends, family, and each other. We were thrilled to help them celebrate and wish them all the best in their promising future. Congratulations to Alex and Courtney!